Most folks would (rightly) agree that when you put up a ceiling fan in the DFW area, it’s a matter of necessity as it stays hot for most of the year in our area. So putting up a fan any time of year makes a lot of sense. 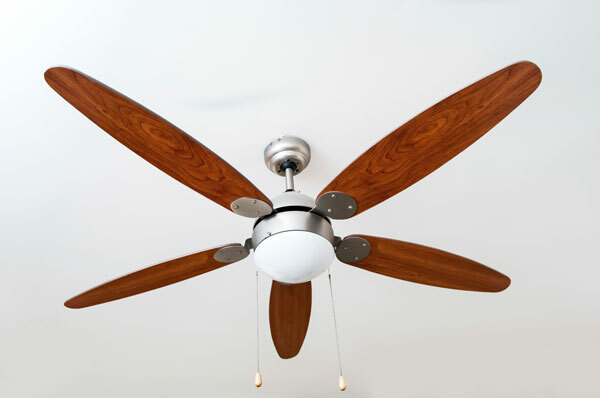 Fan Plan: A Ceiling fan disperses the AC cooling nicely around the room and saves lots of money in energy bills. That’ why choosing the right size and more than that, the spot where you install it, is the key. The spot should be above or near where you normally sit and the blades need to be about 7’ above the floor for a good cooling effect. In the case of angled ceilings, use a sufficiently long down rod for preventing the blades from touching the ceiling. Along with the fan, buy these tools, if you don’t have them already. Tools: Voltage tester, wire stripper-cutter, nut driver, pliers, wrench set, screwdriver, tape measure and a hammer. All of these should be well insulated and shock-proof. You would also need a 2 ft level, a bench or small ladder to stand on and a new fan brace after you have these in hand, you’re ready for the task. How to fit the ceiling fan? Usually, in Dallas and Fort Worth, ceiling fan points in the ceiling are pre-planned along with the wiring from the switch. Using the voltage tester, check whether the connection is working. Now, turn off the circuit breaker and make doubly sure that the power supply is disconnected. Ceiling fans are housed in a box fixture in the roof and the old box has plastic/ metal clamps. Bend or loosen the clamps and remove the box using the hammer and a block of wood. Pull the wires you find there using pliers. If you can access the ceiling hole from the attic, fit the brace from there; otherwise, maneuver the brace through the box. This needs a bit of dexterity and care, failing which, you’re likely to damage the recess or even worse, sprain your back. Slip the wires you’ve pulled earlier through the brace and mount the new box in place. Assemble the fan and down rod following manufacturer’s instructions, taking care to follow the color coding of the wires. Grounding wires are green, neutral wiring is white and the power cables are blue/black. Now mount the fan to fit snugly in the box. Switch on the circuit breaker, check that the fan is working properly. Switch off the mains and fit the covering plate. The fan is now ready. Last word: unless, you’re fairly familiar with electrical work, call an electrician to install the first fan and learn by observation. That’d be safer and simpler.